The following information is from the University of Missouri. 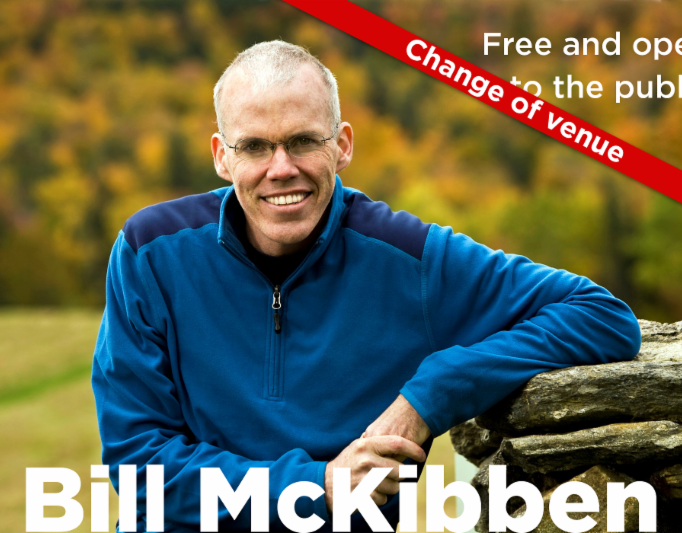 Please join us for the Lloyd B. Thomas Lecture and Performance Series event, “Climate Change: The Hottest Fight in the Hottest Decade,” featuring Bill McKibben. Bill McKibben is an author and environmentalist who in 2014 was awarded the Right Livelihood Prize, sometimes called the “alternative Nobel.” His 1989 book The End of Nature is regarded as the first book for a general audience about climate change and has appeared in 24 languages; he’s gone on to write a dozen more books. He is a founder of 350.org, the first planet-wide, grassroots climate-change movement, which has organized 20,000 rallies around the world in every country except North Korea, spearheaded the resistance to the Keystone Pipeline, and launched the fast-growing fossil fuel divestment movement. Doors open at 6 p.m., seating begins at 6:30 p.m.
Wednesday, October 4 at 7:00 p.m.